Today I’m super happy and loving my hair. Why? Because my twist-out looks Ah-maaay-zing! Well, to me anyway. It’s actually become my go-to style over the last month or so since I shaped my hair up with a trim. 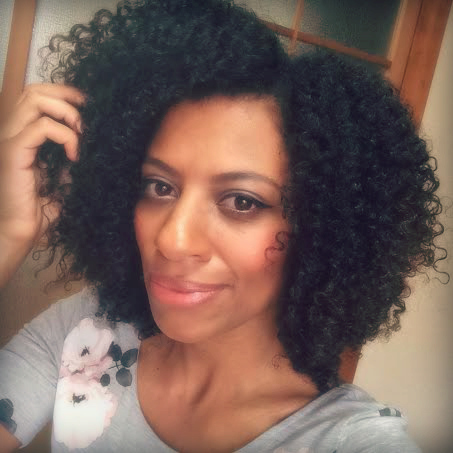 Up until then I’ve mostly been wearing braid-outs as I loved the length it gave me, but since my cut I adore the shape that I get with the twist-out, never mind the extra shrinkage. Here’s how I did it. Washed and twisted my hair on Wednesday night. Wore the twists on Thursday and Friday. Unravelled the twists this morning after smoothing a bit of coconut oil over my strands. Combed my hair at the roots (only) for more volume. Tossed my head from side to side for final volume boost. Girl, your twist out is in POINT! Looks great. How many twist did you put in? Thanks, I’m not entirely sure, but I think round about 30 twist in total, give or take. They were thinnish to medium sized. Thank you Hun, thanks for reading.